Aloe barbadensis miller, or more commonly known as just aloe vera, is the name of a plant best known for its wonderful skin healing properties. Aloe barbadensis is a member of the family Liliaceae. It can also be known as True Aloe, Barbados Aloe, Burn Aloe, Indian Aloe, Chinese Aloe, and even the First Aid Plant. The word vera actually derives from Latin meaning “true” or “genuine.” Aloe barbadensis is native to the Mediterranean region, as well as East and South Africa. However, this plant is extremely adaptable and is now also found in North America, Australia, Europe, and Asia, being first introduced in Asia and Europe during the 17th century. This is one of the oldest known plants used for its medicinal purposes. Did you know that the use of aloe vera can be traced back over 6,000 years to ancient Egypt? Ancient carvings contain images of the aloe vera plant, which they referred to as the “plant of immortality.” It was supposedly given as a gift to deceased pharaohs. While there are many varieties of aloe vera plants, aloe barbadensis is a short stemmed, or even stemless plant that can grow up to anywhere from 2 feet to a little bit over 3 feet tall. It has thick and fleshy leaves, that are a greenish-gray in color. Some varieties of the plant have white flecks on the upper and lower parts of the leaves. The edges of the leaves are serrated, and actually have small white “teeth” on them. There are flowers that can grow in a spike on the plant during the summer time. The flowers are yellow in color and grow in a tubular shape, growing only from .8 to 1.2 inches long. Aloe vera can be used in many different products and industries. While it is most widely known for its skin healing properties, it can also be used for bath and body products, medicinal purposes, hair care, and soap making. Common products that can include aloe vera are massage oils, bath bombs, bath teas, foot treatments, facial masks, bath salts, shampoos and conditioners, body wash, face tonics, lotions, ointments, and creams. Did you know that one of the earliest recorded uses of aloe vera was back in the 3rd century? It is shown as a medicine on a Sumerian tablet. Because it is such an extremely adaptable plant, aloe vera can grow in almost any climate and environment. Its growth resembles that of a cactus. It tolerates very dry soil and needs hardly any rain or water as a large portion of the actual plant is water. It just needs to be in an area with good drainage and have as much sun exposure as possible. Because of its adaptability, while it can easily withstand hot climates with little to no water, it can also survive in areas with cold temperatures of as low as 25 degrees Fahrenheit. Aloe vera plants live year round, just going dormant during the winter time. The plant can produce offshoots along the base, also known as “pups.” The pups can be removed when they are a few inches tall and replanted as new baby aloe vera plants. The pup should be removed using a sharp knife, and then allowed to sit and scab over for a couple of days. This will prevent any disease or other organisms from getting into the plant. When growing an aloe vera plant, when watering it, make sure that the soil is completely dry first. It can be watered so sparsely because the leaves themselves are designed to sustain and hold water during droughts. There are some pests or diseases that can affect the aloe vera plant. It is prone to pests like scale and mealybugs. It is also susceptible to diseases like fungal stem, root rot, leaf rot, and soft rot. The aloe vera plant can be used in many different products and industries. It is most widely known for its skin care and skin healing properties, but it can also be used for many other medicinal purposes, hair care products, bath and body products, and soap making. When used in the soap making process, it can be used for melt and pour soap, as well as cold process. Aloe vera brings its wonderful skin care benefits to soaps, giving it many nutrients and healing properties. When used for hair care products, aloe vera has many amazing benefits. It helps to prevent dandruff problems and hair loss, as well as promoting moisture and shine to the hair. There are proteolytic enzymes found in aloe vera that actually help to eradicate any dead skin cells on the scalp. It also helps to balance the pH balance of the scalp, encourages new hair growth, eliminates dry and itchy scalp and helps to reduce any scalp redness, irritation, or inflammation. When used in conditioners, aloe vera helps to control frizzy hair, adds luster and strength to the hair, and leaves the hair feeling smooth and silky. It does not make the hair brittle, and is great as a rinse for oily hair. For people who suffer from alopecia (or also called male pattern baldness), regular usage of aloe vera helps to rejuvenate the hair follicles and reduces hair loss. The best known use of aloe vera is for its skin care properties. It is used to treat many skin conditions like acne, psoriasis, and eczema. It is also used to treat burns, sunburns, and any irritated or inflamed skin. It works to soften and moisturize the skin, and can be used on any skin blemish. Aloe vera helps to heal wounds faster, and is excellent at treating any facial edema. It also helps to reduce any stretch marks, brings a nice healthy glow to the skin, and helps to cure bug bites and skin blisters. Aloe vera also makes the skin firmer as well as keeping it hydrated and reducing any wrinkles or fine lines. It even helps to lighten the skin, which alleviates hyper pigmentation and sun tanning. When used in homemade lip balms, aloe vera is great for curing dry and chapped lips. It can also be used for foot treatments to rejuvenate and soften the skin of the foot. There are many wonderful medicinal benefits to using aloe vera. It contains many nutrients and minerals important to the body such as manganese, potassium, magnesium, zinc, copper, calcium, sodium, iron, and chromium. There are also many vitamins within aloe vera such as niacin, folic acid, vitamin A, B1, B2, B6, and B12, as well as vitamin C and E. Aloe vera also has many wonderful properties such as antibiotic, anti-inflammatory, fungicide, antioxidant, diuretic, emollient, antihistamine, detoxifying, and analgesic. It can be used as treatment for many conditions such as herpes, athlete’s foot, psoriasis, eczema, acne, seborrhea, shingles, warts, fungus, conjunctivitis, and sties. For women, aloe vera can actually be used to treat vaginal infections. It is also great for the reproductive system. It helps to rejuvenate the uterus as well as reducing any pain caused from menstrual cycles. However, it should not be used during pregnancy because it can possibly cause an increased risk of uterine contractions and drop in blood sugar. Aloe vera also helps to treat many respiratory disorders like bronchitis, the flu, colds, and even runny noses. For dental care, aloe vera helps to maintain oral hygiene and healthy gums. It also prevents mouth ulcers and bleeding gums and provides relief from any burning of the mouth. It can even reduce gingivitis. Diabetes can also be treated using aloe vera. It lowers blood sugar levels, decreases cholesterol and triglyceride levels as well as decreasing insulin resistance. It also improves the natural quality of the blood and helps to keep the blood rich and fresh in oxygen. Aloe vera can also be used to treat bed sores, diaper rash, hepatitis, ulcerative colitis, frost bite, dry socket, canker sores, and dental plaque. Aloe vera can even be used as a possible treatment for breast cancer, working to slow down the spread of the cancer cells. An aloe vera plant should not be eaten, as it has a very bitter and unpleasant taste. Aloe vera gel can be used on fruits and vegetables as a way to block many harmful types of bacteria. When used in house plants, aloe vera gel can be used as a safe and gentle remedy to help reduce heart burn and digestive problems. Nature’s Garden sells aloe vera powder for external use only. We do not sell it as a food item. The information above talks about how great aloe vera is for many industries, however we only sell it for external use. We provide this data for educational purposes only. Nothing in this article is to be construed as medical advice. Please consult your doctor before using this product or any of this information for treatment purposes. Are you looking for an amazing way to use aloe vera as soon as possible? 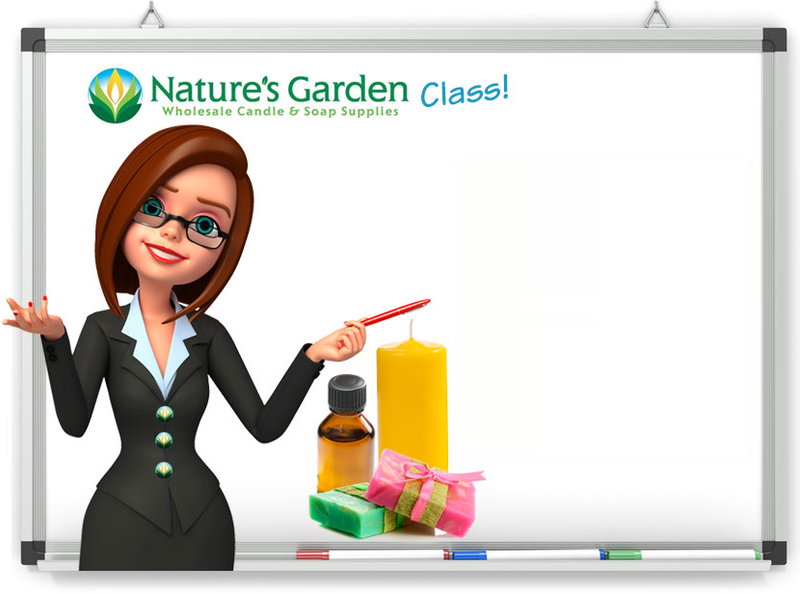 We offer many free recipes and classes here at Nature’s Garden and our Pampered Foot Scrub and Calendula Sunshine Soap are both made with our aloe vera powder! Also make sure to check out our Aloe Cucumber Hair Conditioner recipe, made with our Aloe Vera and Cucumber Fragrance Oil!